Heritage cuisines express regional as well as ethnic identity of people, showcasing agricultural traditions, social cultures and values of the society. Traditional culinary processes and cuisines of a society reflect the status, mentalities, heritages recipes and food habits of the current generation and previous generations (Bessière, Timothy and Ron, 2013). Cuisine as a heritage is a mixture of tangible aspects like; ingredients and cooking utensils together with the intangible aspects like; cooking tradition, the visual, smell and taste components of the food. Traditional cuisines play a major role as image maker for tourist destination (Timothy and Ron, 2013). On the process of promoting a destination and developing marketing strategy cuisines and culinary practices contribute on the promotional attractiveness for marketing companies at the local and international level (Bessière, 2013). Local heritage cuisine often marks the destination with authenticity, by enhancing the destination image at the same time contributing to the destinations competitive advantage. There is also a tendency that traditional cuisine restaurants outside the home country or region create an image for the destination. In addition to promoting the cuisine, restaurants abroad also represent the destination by décor, music, way of eating and other cultural values of the society, leading to increased desire to visit the origin of the food (Timothy and Ron, 2013). 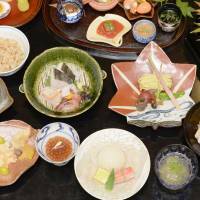 Figure 1, Traditional Japanese cuisine listed on UNESCO Intangible Heritage List. Bessière, J. (2013). ‘Heritagisation’, a challenge for tourism promotion and regional development: an example of food heritage. Journal of Heritage Tourism, 8(4), pp.275-291. Timothy, D. and Ron, A. (2013). Understanding heritage cuisines and tourism: identity, image, authenticity, and change. Journal of Heritage Tourism, 8(2-3), pp.99-104. Hi Yonas thank you for bringing up this topic. As you have mentioned above in the text that cuisine/food it is an important part of the history of an nation.I also agree that food creates an image for a destination and also can be part of the tourists experience. What do you think about opening traditional restaurants abroad, do they represent the traditional cuisine in the best way, or they just want to have some profit out of that? Best Regards Gzime. Hey Gzime! Thank you for your comment. Traditional restaurants outside the home country are often referred as ‘authentic’ representing the origin of the cuisine in terms of the food, seating styles and décor , as Bessière, J. (2013) discussed authenticity is subjective depending on the perception of the person who is using the restaurant. Some restaurant will serve genuine cuisine that represents their home country but others only use it just as promotional tool.